Want practical martial arts in OC? “Where can I find practical martial arts in Orange County”, you’re in the right place. What they know is how different we are. They’ve invested their time in other martial arts and know full well what else is out there. And time and time again they choose The Dragon Institute. Our insane dedication to practicality and efficiency are likely why publications like FoxLA KTTV, CityVoter and OC Weekly have named us “Best Martial Arts in Orange County”. Look: Wing Chun is hard to find. But high quality Wing Chun??? Much harder! How about world-class Wing Chun??? Only a few places in the world! The honest truth is that no one has the ability to offer our level of Wing Chun. Welcome to The Dragon Institute… the true culmination of my life’s work. For the last 23 years, I’ve dedicated myself to practicality and efficiency in everything I do. And I mean everything! And because of that single-minded dedication, I’ve been able to inspire that level of commitment in my students. This has become our schools culture. And I honestly believe that this is why our school has been recognized as one of very best Wing Chun schools in the world. You see… I made sure that we weren’t distracted by flashy things. I made sure we specialized in high quality Wing Chun Kung Fu. Plain and simple. An art that doesn’t deliver the cheers of a crowd. In my approach to Wing Chun, reward comes in the form of cutting through complexity and in moments of honest application. If you’ve experienced other martial arts before, other types of kung fu or even other styles of Wing Chun… brace yourself for an entirely new level of depth, insight and application. The more you learn about us, the more you will want to be part of our martial arts family. To receive an invitation to apply for admission to The Dragon Institute, the student must meet the following requirements. Who Are Our Students? Why Are They Different? • They value professional, expert instruction instead of cheap classes. Their priority is value and quality. Each of our instructors has a gift… the ability to change lives. With patience, compassion, encouragement and an amazing ability to connect with students, we believe no other practice or activity has the same power to change people (young and old). That’s why we KNOW everyone needs to learn Wing Chun… Its benefits are simply too many to ignore. Led by Sifu Adam Williss and Sifu Derrick Mansell, humble badass takes on a real world possibility like never before. Both are some of the very best in the world, yet you’d never know it when you meet them. They are easygoing, unassuming masters. Its precisely because of their selfless, example-based leadership that The Dragon Institute has such ego-free, high quality students. Under them are our assistant instructors (aka coaches). All have trained for several years and were hand-selected based on their qualities of character, integrity and compassion. 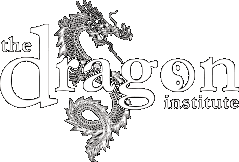 Each of our instructors have been fully certified specifically for their teaching position at The Dragon Institute through our extensive Apprentice Instructor’s program. Sifu Adam Williss is the founder of The Dragon Institute. For the last 22 years, he’s dedicated his life to becoming “Wing Chun”. From this commitment, he has become one of the world’s foremost experts in the art. Sifu Adam Williss has made it his life’s mission to empower individuals of all ages and all walks of life with Wing Chun’s physical, mental and life-changing benefits through his local classes, private martial arts training, online learning program and workshops. His students include FBI agents, homeland security personnel, active soldiers in the Marines, Navy, Army and Air Force as well as other law enforcement and security professionals. His training includes both hand-to-hand combat as well as real-world self-defense against weapons. He is also a self-defense expert instructor to large companies, community-based service clubs, local Orange County businesses as well as amateur and professional athletes. In addition to the practical self-defense capabilities of Wing Chun, Sifu Adam also specializes in its unique personal developmental benefits. This includes its “Be Like Water” philosophy of leadership, efficiency and life balance as well as the internal, energy-based health aspects of the art. He leads a regular morning Tai Chi / Qigong (Chi Kung) class isolating the more internal and intrinsic benefits of his training for the mind, body and energy cultivation. Through the years he’s also helped many seniors, those with with disabilities, stroke victims, recovering drug addicts and alcoholics through his qigong work with them. Sifu Adam is the State of California representative of The System Wing Chun under Florida-based Sifu William (Bill) Graves of the Leung Sheung line of Wing Chun. As such, Sifu Adam is an official lineage holder of the Worldwide Leung Sheung Lineage Association. Sifu Adam Williss was inducted into the United States Martial Arts Hall of Fame in 2010, founder of Wing Chun Against Bullying, president of the Dragon Family Wing Chun Association and member of the International Kung Fu Federation, Independent Martial Arts Federation, International Combat Martial Arts Unions Association, United States Kuo Shu Federation, Ving Tsun Athletic Association and National Qigong (Chi Kung) Association. Sifu Derrick Mansell is the head instructor at our Irvine Wing Chun school and is the senior-most student of Sifu Adam Williss. As such, he is a lineage holder of the Dragon Family Wing Chun and the Worldwide Leung Sheung Lineage Association. With 9 years experience, he has dedicated himself to helping others through Wing Chun… the art he calls “the best thing I’ve ever done”. In the fall of 2018, Sifu Derrick founded the UCI Wing Chun class. He is Vice President of the Dragon Family Wing Chun Association and serves on the Board of Directors for Wing Chun Against Bullying. Coach Henry is one of the kindest and most intelligent people you’ll ever meet. Always with a smile on his face and heart of gold, Henry leads by example with compassion, patience and encouragement. Coach Jake is a high school student who knows what its like to be small for his age. Yet no one messes with him because of how sure he is of himself and his abilities. He loves empowering kids to believe in themselves and their own abilities regardless of their size. Seeing kids progress means a great deal to Coach Jake. Knowing that he has the power to help them, he genuinely enjoys teaching. Classes at The Dragon Institute are valued at $300/month. But tuition is set much less than that. It would prevent many from being able to enjoy the immeasurable benefits of Wing Chun. Although a financial commitment is required from all of our students, we are driven by helping more people. In fact, you’ll find that our prices are even less than most other martial arts schools. The truth is, we’re not competing with them. You’ll see this in our uniquely genuine attitude, in the quality of our program, in the level of our instruction and in the passion of our students. You’ll notice a real difference within 3 months. We’ve had students successfully defend themselves on the street within 6 months. However, due to our high standard, instructor level certification takes quite a few years (depending on the student’s ability to apply). Only ability can determine your level. Ability is not determined by how many forms or combinations you can rehearse. Therefore we are very discriminating upon who we certify. (Please note only adults may earn “black belt level” certificates, we do not award children black belts). How easy is Wing Chun to learn? The beginning is the hardest part because you’re learning to think and move in a completely new way. There will be an adaptation period (called the dip) where you’ll feel awkward. The dip can last anywhere from two weeks to a couple months. Hang in there, with time, dedication, and guidance it will eventually feel right. We have different classes for adults, juniors, kids and preschoolers. Our adult classes include many well into their 60s. Kids as young as 3 can start in our preschool classes. The next age group is 5-10. And our junior Wing Chun program is ages 11 -15. Absolutely. Our Wing Chun system includes all the traditional Wing Chun material as passed down through Ip Man (aka Yip Man), his senior-most Hong Kong student, Leung Sheung. Our school has the honor of continuing this amazing legacy through our Sifu, Adam Williss, as passed down by some of best practitioners in the Wing Chun world today (Kenneth Chung, Ben Der, Karl Godwin and Bill Graves). Are you a fully-accredited Wing Chun school? You can’t get much better than our credentials. First of all, our founder is none other than internationally acclaimed Wing Chun expert, Adam Williss (probably the most passionate Wing Chun man you’ll ever meet). For the last 23 years, he’s dedicated his entire life to Wing Chun… and it shows through in the quality of our program, system and instruction. But its the ability of our students which is noted by experienced martial artists and other visitors. Due to the quality of our standards and consistent dedication to excellence, we have received recognition by several national and international associations including Ip Man’s Ving Tsun Athletic Association in Hong Kong. We are also proud affiliates of the Worldwide Leung Sheung Lineage Association. Absolutely not! Wing Chun training is geared toward the individual. Everybody trains at his or her own level, pushing a little bit more every time. There is no pressure to do things that your body isn’t able to do. Most students notice a increase in fitness, joint flexibility, and general strength after as little as a month. No preparation is needed. Just show up and our instructors will handle the rest! Our sifu is United States Martial Arts Hall of Fame inductee Adam Williss. With 20 years experience, Sifu Adam has dedicated his life to empowering and educating people of all ages through his classes, private training sessions and seminars. He has trained numerous professionals, athletes and corporate executives. Sifu Adam is an instructor to groups ranging from employees of large corporations to university students. He is also the expert behind “Ask Sifu” – an online platform where he answers Wing Chun questions free of charge. He is also the author of “Self-Defense Advice with Adam Williss” as well as other publications where his work has been featured both online and in print. Most recently, he was featured in Wing Chun Illustrated and interviewed by Wing Chun Blast. Previously, Sifu Adam Williss was the editor-in-chief of Wing Chun Magazine. In 2014, he founded WING CHUN AGAINST BULLYING, a project that uses the principles of of Wing Chun to fight against bullying. What affiliations, associations and accreditation do you have? Our Wing Chun school is the only representative of authentic Ip Man Wing Chun in Orange County under his senior-most Hong Kong student, Leung Sheung. We are internationally recognized under the Hong Kong-based organization founded by Ip Man (Ving Tsun Athletic Association), a proud affiliate school of the Worldwide Leung Sheung Lineage Association and the official representative of California for Bill Graves’ The System Wing Chun. We also have affiliations with Ben Der’s San Jose Wing Chun, Karl Godwin’s Seminole Wing Chun, Jesse Moon’s North Florida Wing Chun, Kenneth Chung’s Stanford University Wing Chun, Jonathan Petree’s Atlantic Warriors Wing Chun, Tim Faughn’s Wing Chun Fight Club and Wesley Lim’s Leung Sheung Wing Chun (Singapore).